Would you like to see stars? 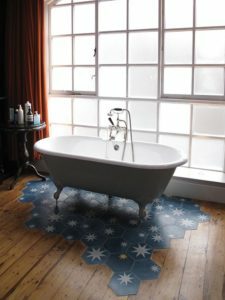 Let AAI Flooring help you imagine a home inspired by our night’s sky. A star is type of astronomical object consisting of a luminous spheroid of plasma held together by its own gravity. The nearest star to Earth is the Sun. Adding a small patch of tile to your floors can be an exciting way to renovate your home. It is a newer design trend in home improvements. 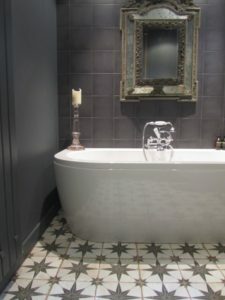 Want to refresh your wooden floor bathroom? Try adding some tiled stars. Mosaics are not just a style of the past, it can be used to add a fresh design to your home. Using smaller tiles to create designs on your floor can feel like a puzzle. 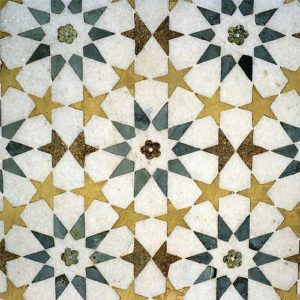 Incorporating different textures of tiling to your star pattern might also inspire your design to take a turn from bleak to retro! 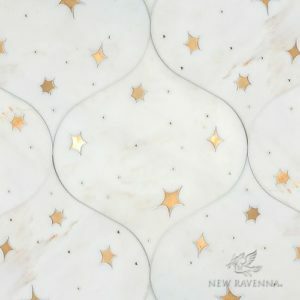 If you’ve always wanted to bath in the stars, adding a start design to your bathroom will create a more luxurious setting. Above is EliteTile Royalty 17.63″ x 17.63″ Ceramic Field Tile in Beige/Gray.